Ephesoft provides a smart capture solution for Microsoft technologies. Ephesoft Transact onramps documents from email, legacy content systems, scanners, and more. Their classification and data extraction intelligence maps document data into SharePoint, and intelligence web services can be used by Flow to interpret and use document data in workflows. 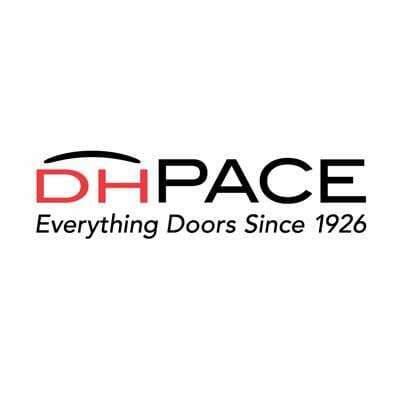 DH Pace is a national company that has been providing door, dock, and door related products and services to home and business owners since 1926. They have more than 2,200 employees in 45 locations with a fleet of more than 1,200 vehicles and are available to help customers install, maintain, and service all types of door, dock, and access control systems. DH Pace looked to Zia Consulting and Ephesoft to help them streamline their accounts payable process and better utilize their existing SharePoint platform. Each month, DH Pace processed thousands of invoices from hundreds of vendors, each with varying formats. This required laborious data entry by DH Pace employees. Additionally, they were manually classifying and indexing documents which was prone to human error. They needed a way to streamline their processes, improve quality, improve customer satisfaction, and increase efficiency. As a client of Zia Consulting, a platinum level Ephesoft partner, DH Pace received help with automation to create a more efficient accounts payable process. After a discovery meeting, Zia Consulting recommended they implement the Ephesoft Smart Capture® platform to automate their invoice processing. Ephesoft’s smart document capture system is powered by supervised machine-learning technology that ingests, classifies, extracts, validates, and exports metadata. DH Pace integrated Ephesoft with their existing Microsoft SharePoint platform for straight through processing, passing data directly into their content management system. “SharePoint has helped us speed up internal workflow processes in a variety of ways—including document management, contract approval, and building/system maintenance. With SharePoint as our content management system, we can easily assign individual tasks to users, design approval levels around document types, and easily report on the details of each. SharePoint has helped make our organization more efficient,” stated Robbie Carlson, business analyst at DH Pace. The total solution reduced errors and expedited processing time. Zia Consulting is currently in the process of automating two additional departments within accounts payable. These new batch classes will process an additional 1,000 invoices per month. It will take Zia just 11 weeks to implement the project. With SharePoint as our content management system, we can easily assign individual tasks to users, design approval levels around document types, and easily report on the details of each. SharePoint has helped make our organization more efficient."